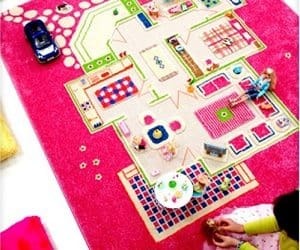 Your little princess will be entertained for hours with this 3D playhouse rug! Just grab her favorite dolls and cars and let her imagination run wild! A fantastic rug ideal for bedrooms or play rooms.